Subsequent evictions of area communities by the government has triggered conflict, with community representatives saying the mining project is occurring without consultation with the people who live there. This conflict prompted the government to declare a state of emergency in December, which was expanded in January. Representatives from civil society organizations say this state of emergency is effectively suspending the rights of indigenous communities. A conflict is brewing in the southern Ecuadorian Amazon. 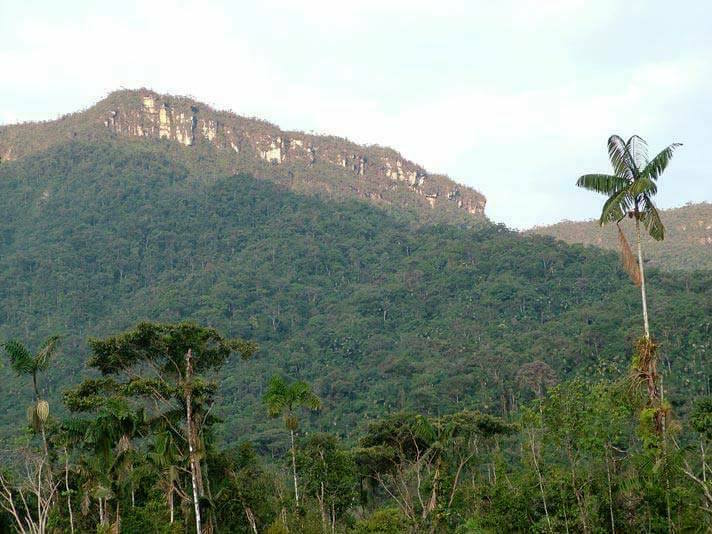 Specifically, in the rural towns of the San Juan Bosco and Limón Indanza, located in the Cordillera del Cóndor mountains in the province of Morona Santiago. The territories of these indigenous communities have been granted to the Chinese mining company Explorcobres S.A. (EXSA), a subsidiary of the Chinese company Ecuacorriente S.A. (ECSA). The company is responsible for the San Carlos-Panantza copper project, and is heading the construction of the country’s first open-pit copper mine in the neighboring province of Zamora Chimchipe to extract deposits that are part of a contiguous copper belt that transects the region. The situation ramped up in August, when the first of several successive events took place. 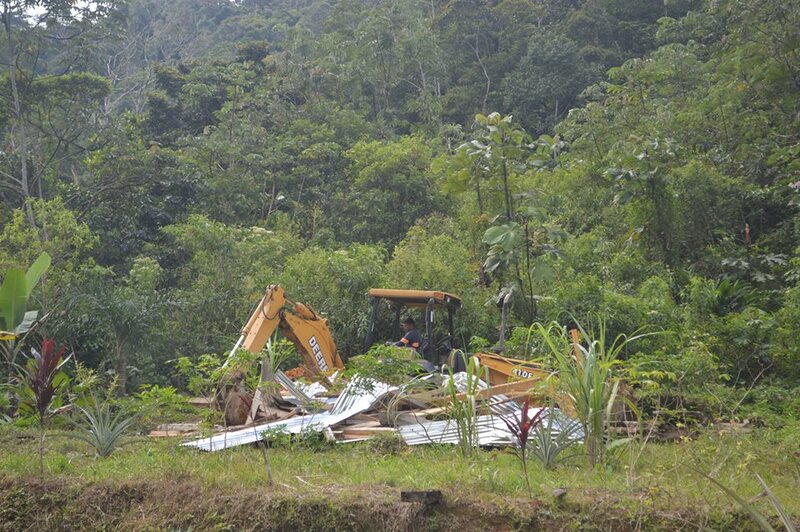 On August 11, hundreds of police officers entered the parish of Santiago de Panantza and proceeded to evict a small Shuar community called Nankints made up of 32 people. Since then, a large military and police contingent has remained on site, backing up Chinese mining company EXSA, which claims the land as its own. The eviction of Nankints was a trigger for regional and national indigenous organizations, which blame the government for encouraging large-scale mining — without prior consultation, they allege — in territories they consider ancestral. 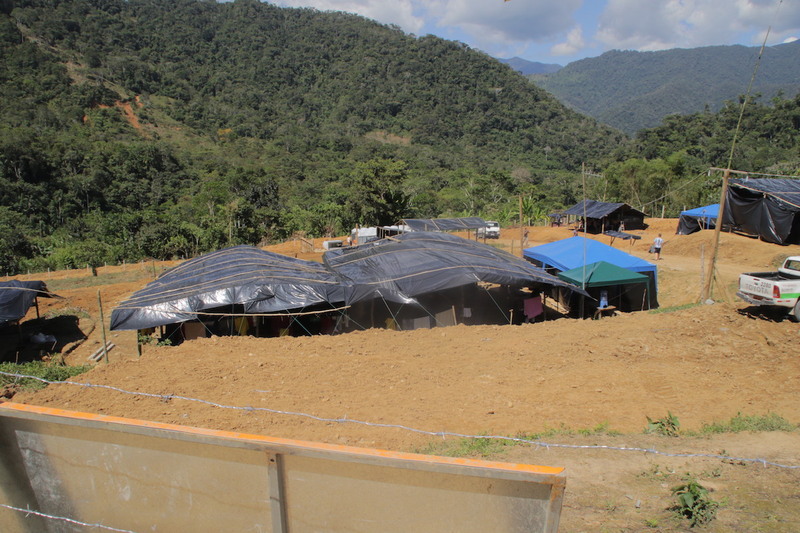 This tension over the San Carlos-Panantza project has given rise to numerous confrontations, including the 24-hour takeover of the company’s mining camp by Shuar natives in November, the death of police officer José Mejía on December 14, the arrest of a group of community leaders and Inter-Provincial Federation of Shuar Centers (FISCH) president Agustín Wachapá, and an attempt by the Ministry of the Interior to close the NGO Acción Ecológica – a move that attracted criticism from the international community. In mid-December, the government declared through executive order a state of emergency in the province of Morona Santiago. On January 12, the order was extended and several constitutional rights for residents suspended “due to the attacks against members of the National Police and Armed Forces by illegally armed groups, who have infringed upon public safety, the integrity of the people, peace and social coexistence,” according to the order. President Rafael Correa blamed indigenous leadership for supporting violent “paramilitary and semi-criminal” groups that he says frighten the population. “It is a lie that they are ancestral lands,” said Correa, adding that the Chinese company EXSA bought them from a couple of settlers, who in turn acquired them from another couple who received them from the former IERAC (Ecuadorian Institute of Agrarian Reform and Colonization). However, indigenous groups firmly claim that the disputed territory is part of the Shuar-Arutam jurisdiction. However, the Interior Ministry had initially reported that the officer’s death had occurred during an attack on the China EXSA mining camp La Esperanza. At the same time, the government reported five policemen and two soldiers had wounded, one critically. The government’s assertions have raised the doubts of civil society organizations such as Acción Ecológica. Gloria Chicaiza, a spokeswoman for the NGO, questioned the intentions of the government for blaming the Shuar indigenous people for the death of Mejía while eliciting a campaign to find the perpetrators. In an interview with Mongabay, Chicaiza said that to her perspective, the events do not seem to add up and that the officer appears to have been killed with a weapon of a caliber unavailable to indigenous communities. “How do a police and military contingent so armed and strong arrive at the location, and it turns out that the aggressors are the small and unarmed communities settled in the area?” she said. So far, investigations into police officer José Mejía’s death do not appear to be showing much progress. Five community landholders that the Minister of the Interior Diego Fuentes pointed out as allegedly responsible for the attack on La Esperanza mining camp (where Mejía died) were arrested on December 17, after a series of raids in the parish of Santiago de Panantza and the San Juan Bosco canton. 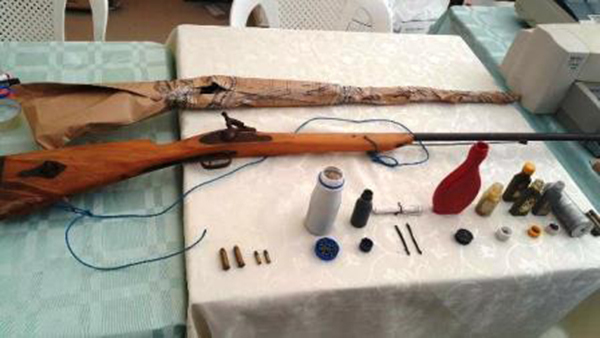 However, they were subsequently released by the Morona Court of Justice due to lack of evidence, which consisted of old handmade hunting shotguns and ammunition. Three of the detainees were members of the parish board of Panantza, including its president, Javier Marín. Organizations like The Confederation of Indigenous Nationalities of the Ecuadorian Amazon (Confeniae) celebrated the news, with the caveat that the president of FISCH, Agustín Wachapá, is still in prison. Wachapá was accused of inciting discord in accordance with Article 348 of the Penal Code: “A person who promotes discord among citizens, arming or inciting to arm one against another, shall be punished with a prison sentence of one to three years.” Specifically, Wachapá was accused of posting a publication on Facebook “in which he calls for unity, for mobilization and that he disregards President Rafael Correa for having made such incursions with the military and police before a Shuar community,” his lawyer Julio César Sarango said. Sarango also claims that Wachapá has been transferred to the maximum-security prison Latacunga in Cotopaxi, more than 300 kilometers from his home. “They did it to isolate him,” Sarango said. 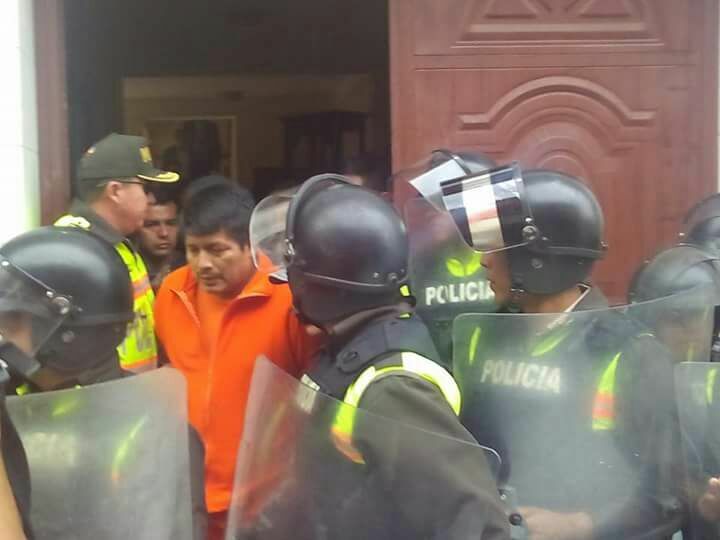 “He can not see his family, friends and colleagues,” adding that with the arrest of the President of FISCH, Correa is sending an intimidating message to the indigenous leadership. On January 6, the Provincial Court of Cotopaxi denied the habeas corpus appeal requested by the Wachapá defense. It was Sarango’s third attempt to obtain his release. Vargas expressed his absolute rejection of the declaration, which he said suspended the right to information, the freedom of expression and opinion, the right to associate and meet, the right to freedom of movement and the right to inviolability of the home. 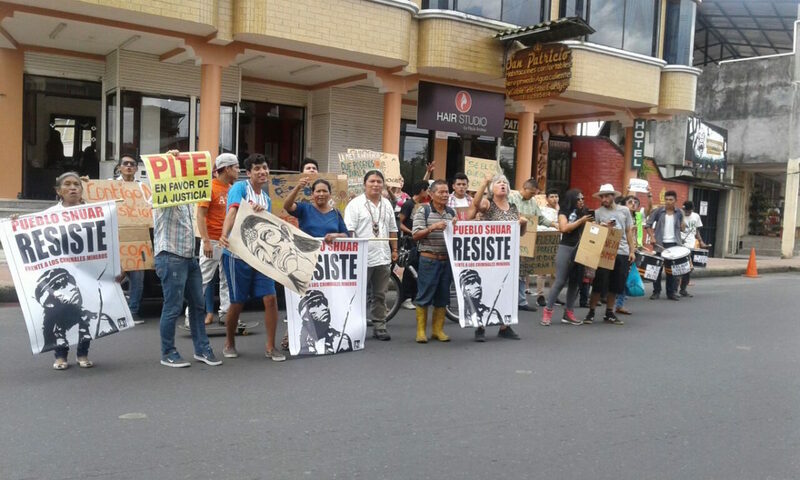 The indigenous leader argued that the state of emergency is paralyzing the economy of the province of Morona Santiago by hindering the mobility of people. He also said that the situation is making area communities highly vulnerable, although this has not been covered by the press due to lack of access to the area. Gloria Chicaiza of Acción Ecológica shares Vargas’ concern about the effects of the state of emergency on the population. “Friends from the communities report helicopter overflights, drones entering communities, watching and chasing. How children are not going to school,” Chicaiza said. “There is excessive military control and people cannot move; they have to walk on the mountain eight, 12 hours to be able to go to population centers such as Gualaquiza or San Juan Bosco.” Chicaiza has not been able to reach the area because of the restrictions of the state of emergency, but explained that she maintains constant telephone contact with indigenous leaders and other residents. The ecologist also spoke about what she described as persecution, giving as an example the case of Luis Tiwiram, leader of the evicted community of Nankints, who is wanted by the authorities. In contrast to the views of Vargas and Chicaiza, the government stated via radio and television that the state of emergency is ensuring peace and order in the province, and that residents are feeling more secure. However, despite the polarized opinions on the situation, there is one point of consensus between government and community representatives: the situation is complex and there remains the threat of further violence. 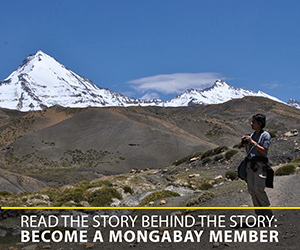 This story was reported by Mongabay’s Latin America (Latam) team and was first published in Spanish on our Latam site on January 17, 2016.